British made , based upon the British style of barrow, the additional framework including the tubular front support, ensures this barrow is ideal for heavier duty application. 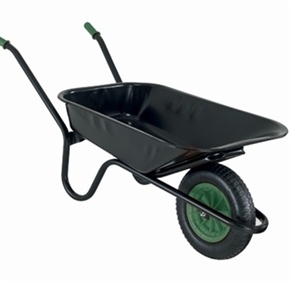 The design and manufacture of this wheelbarrow provides the strongest, most durable wheelbarrow of its type with in the marketplace. Pneumatic tyre.